With Un-Carrier 12, T-Mobile's aim is to eventually consolidate and roll up all of its Simple Choice postpaid cell phone plans into one offering called T-Mobile One. T-Mobile One will become available on 9/6/2016 and it will cost $70/month for a single line with unlimited talk, text and 4G LTE data. Of course, as always, unlimited in this case still comes with fine print. T-Mobile will de-prioritize your network access below other customers during times of heavy network congestion if you are in the top 3% of data users in a month. Currently that means that if you use more than 26 GB of 4G LTE data in a month your speeds may be temporarily slowed until the network congestion gets relieved. The new plan will also have video resolution limited to 480p (1.5 Mbps) which is essentially the same as what Binge On does, except the data will count towards T-Mobile's de-prioritization cap. T-Mobile deems this change acceptable since the company says that only 0.8% of its subscribers turn off Binge On, and alleges that customers won't have to worry about using up their data since their plan is unlimited. Those that do want full resolution video access will have to pay an additional $25/month. Unlike T-Mobile's current $95 monthly unlimited plan, T-Mobile One will not come with any 4G LTE tethering access, tethering speeds will be limited to 2G or about 128 Kbps. Those that want 4G LTE tethering speeds will have to pay an additional $15/month for 5GB. The last change is no more Music Freedom, music streaming will count towards that 26 GB de-prioritization cap. Like it's current unlimited 4G LTE data plan, unlimited talk, text and data is included while traveling to Canada and Mexico. Unlimited messaging and 2G data while traveling worldwide will also be available. Multi-line discounts will also be put in place with pricing at $50 per month for line 2 and lines 3-8 will be $20 each. If you need more lines than that, you'll actually have to pay more, $30 per month. Additional devices can be added to the plan with smartwatches priced at $5 per month and tablets $20 per month. For the time being T-Mobile One will only replace T-Mobile's $95 unlimited plan for new customers. 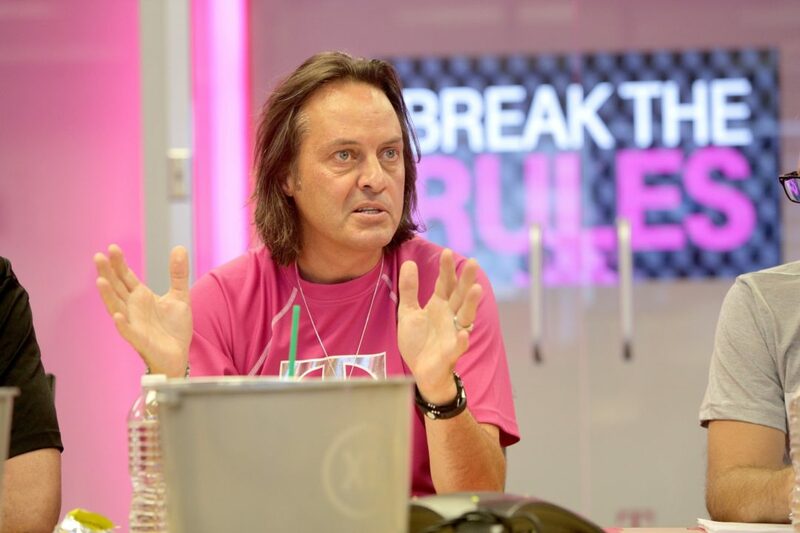 Eventually T-Mobile One will be replacing T-Mobile's $50 2GB and $65 6GB unlimited data plans. At first glance this is a lot to digest and I too felt rather negative towards the new plan and eventual forthcoming changes to Simple Choice. Depending on how things eventually pan out it could largely be unwarranted. One thing that is for sure though, those on the current unlimited 4G LTE data plan should be happy that they'll be grandfathered into the system if they use tethering. With the new T-Mobile One plan 4G LTE tethering is unavailable without paying extra, and depending on how much you tether, you may be paying a lot more than you do now. T-Mobile's current unlimited 4G LTE data plan includes 14 GB of 4G LTE tethering. To get 15 GB of high speed tethering with T-Mobile One you'll have to pay an additional $45/month or $115/month! I suspect a portion of hotspot users out there do it to stream video, but now your video streams are limited to just 480p unless you pay an additional $25/month for high resolution streams. That means to get an equivalent plan with T-Mobile One as the current offering, you'll have to pay a whopping $140/month! Those of you interested in T-Mobile, tethering, and high resolution videos should should switch over to the carrier now before T-Mobile One comes and makes your bill more expensive. On the flip side, T-Mobile will somewhere down the road replace its Simple Choice plans with T-Mobile One. Here is where things get a little interesting to me. T-Mobile hopes to make its postpaid plans more expensive for everyone under the guise of being offered unlimited 4G LTE data. The $50 2 GB and $65 6 GB plans that also offer 4G LTE tethering and high resolution video will be replaced by T-Mobile One. That's a $20 price jump for the smaller plan, for a likely unwanted feature by those subscribers. I suspect T-Mobile will be happy down the road to let those subscribers convert over to its prepaid brand MetroPCS or to one of its MVNO partners. As for the $65 plan, perhaps many will be ok with paying $5 more per month for unlimited 4G LTE data. If I were one however, I would find it completely unnecessary. As a current subscriber and a subscriber for over 2 years to T-Mobile's $30 prepaid plan, a plan which includes 5 GB of 4G LTE data, I already feel as if I have unlimited 4G LTE data. I stream music daily while driving around town or in the office and have never gone over my data cap thanks to Music Freedom. I occasionally watch short videos as well with Binge On enabled. I suspect there are quite a few subscribers to the $65 plan that would be in the same boat as me, even some at the $50 price point. Overall because of the rising price structure, I feel that T-Mobile's latest "Un-Carrier" offering is more like a "carrier" offering. As a current T-Mobile subscriber, how do you feel about the changes? How would you feel to see T-Mobile replace all of its Simple Choice plans with T-Mobile One? Explore the T-Mobile One plan. or compare it to unlimited data plans from other companies.